I remember the first time I visited Voice Of America Park like it was just last month. It was probably around the time I made the decision to bird full time, as opposed to only when it’s nice outside, or I’m on a trip, or something like that. I had jumped in with both feet, and I was chasing anything and everything that was new. And that evening long ago is still imprinted in my memory. I had just checked our local birding List-Serv and read that birders were see lots of Bobolinks at Voice Of America Park. By then Kathy was used to having me dash off chasing birds and tonight wasn’t any different than another time. This was a life bird for me and I didn’t want to miss out on the action so off I went. 30 minutes later I’m driving around the outside of the park trying to find the main gate since I’ve never been here before, that’s when I see several Bobolinks flying over the park fence and across the road. Now it’s getting exciting. Then I notice a dead bird in the middle of the road. 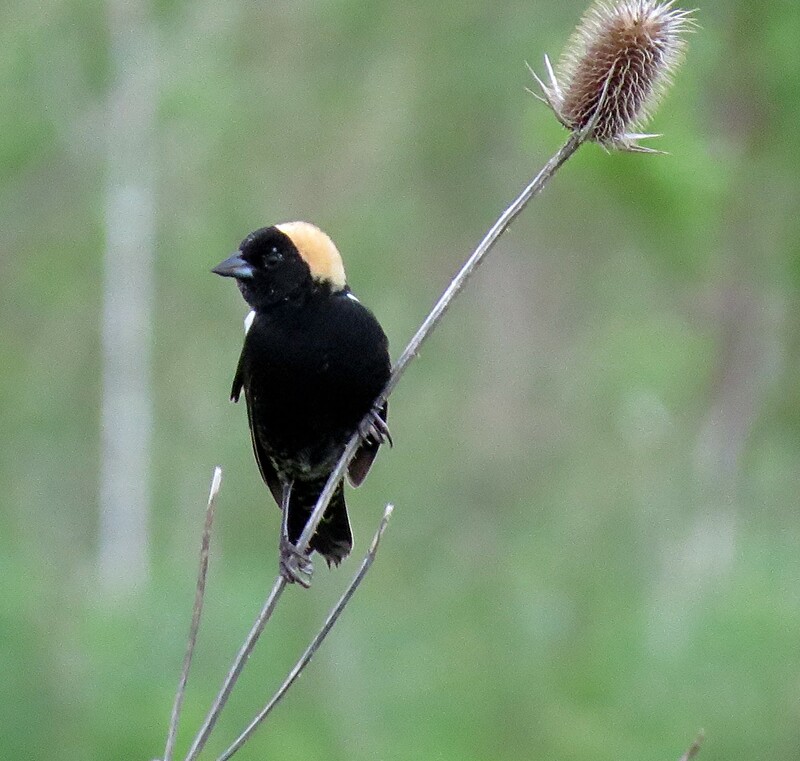 I pull over to the side and walk back to see it’s a Bobolink. My heart sank. I carried the bird to the side and laid it in the brush, got into my car and eventually found the gate. There’s an area in V.O.A. park that’s a protected bird area and that’s where I found them. They were everywhere. It was a beautiful sight. 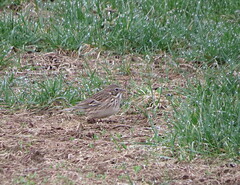 It was such a wonderful thing to see that I brought my best friend Phil back a few days later so he could tick off Bobolinks and the many Henslow Sparrow’s that were nesting there as well. It was such a nice patch of pristine grassland habitat for these birds. As years pass more and more of the birds habitat was disappearing. The park board giving in to the youth athlete organizations and their need for more sport fields. And as we lost more grassland, we lost species. 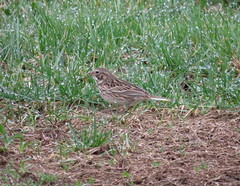 I haven’t heard a Henslow Sparrow in years, and the decline of the Bobolink population was apparent as well. For the past 2 years I’ve not seen any Bobolinks at V.O.A. until just recently. 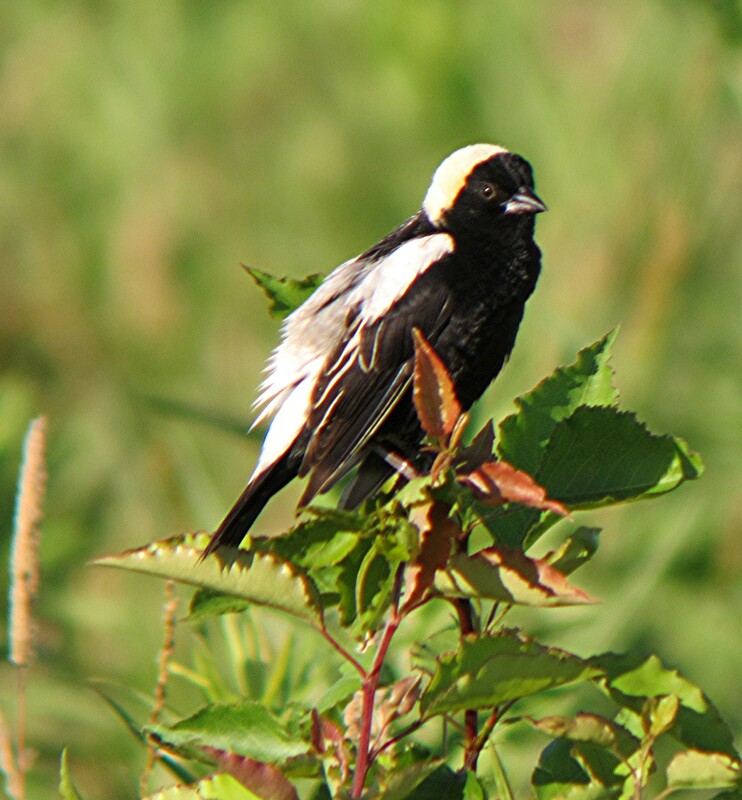 Reports started to come in this Spring of Bobolinks showing up at V.O.A. again. I had to go over and see for myself. It took less than a minute when I spotted my first one. This is encouraging. After spending several hours hiking around the area I came to the conclusion that they seemed to be hanging around this one area. And after some fancy calculating I figured there were 4 males and maybe 2 females from what I could see. Now I’ll probably return in a few weeks to check on them and see if they’re still around or maybe I see more. Anyway you look at it, I was very pleased as I drove off towards home. 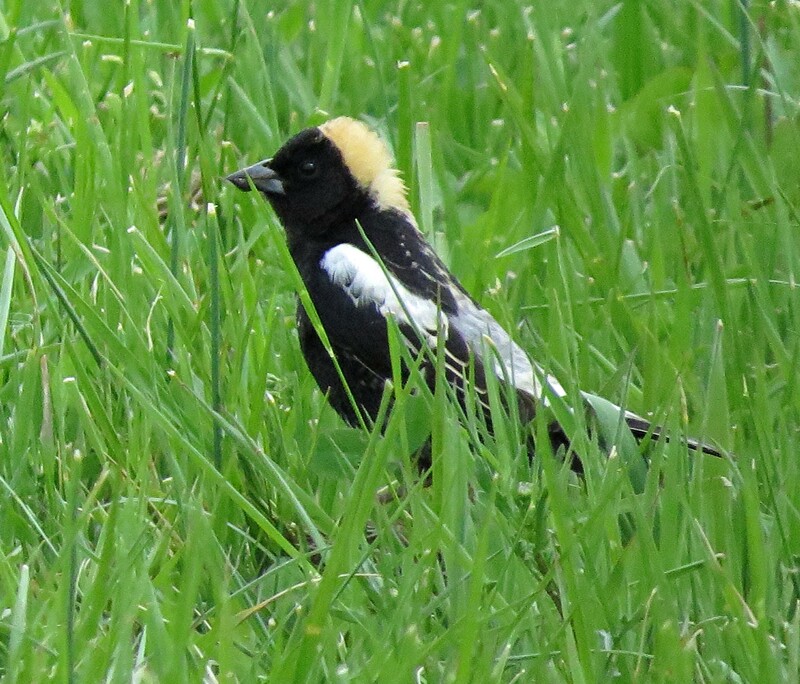 A Bobolink in the grass is a sure sign of Spring at Voice of America Park. 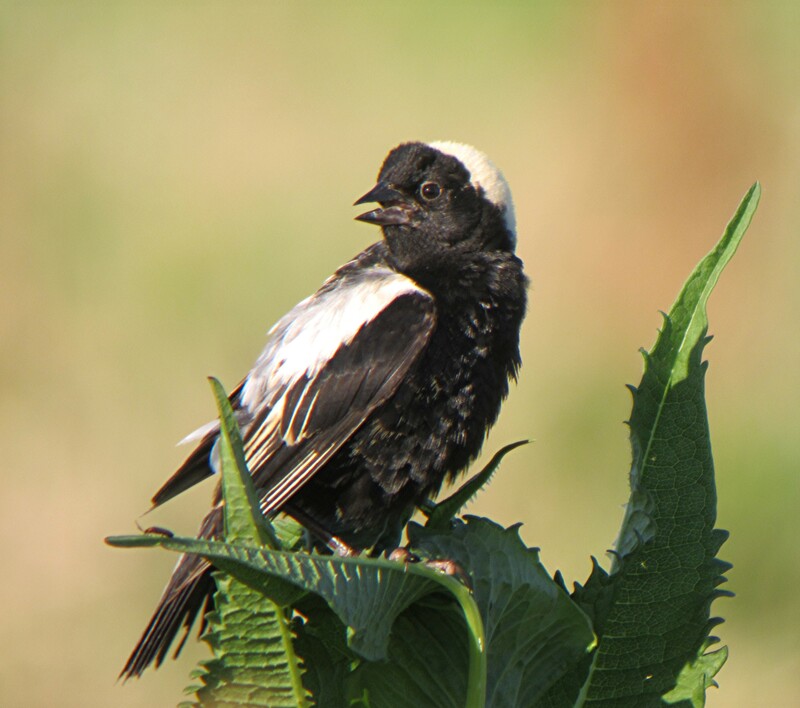 For the past several years I’ve made it a point to make annual trip to VOA Park for the arrival of one of my favorite open meadow birds, the Bobolink. Unfortunately as the years wear on, and more and more of it’s habitat are eaten up by more soccer fields, our poor Bobolinks suffer. Numbers are down and just finding the few individuals this afternoon was difficult. And every year if they keep returning, so will I. 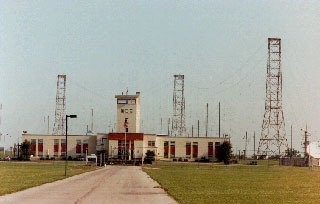 Opened in 1944, and encompassing 640 acres, Voice of America Bethany Relay station was a massive complex of radio towers and wires transmitting radio programs all over the world. The Bethany Relay Stations final broadcast was in 1994. Afterwards the property came under the umbrella of the Butler County Metroparks System. Now the largest park in the system, it now covers 435 acres with lakes, sports fields, and best of all, grasslands for us birders. 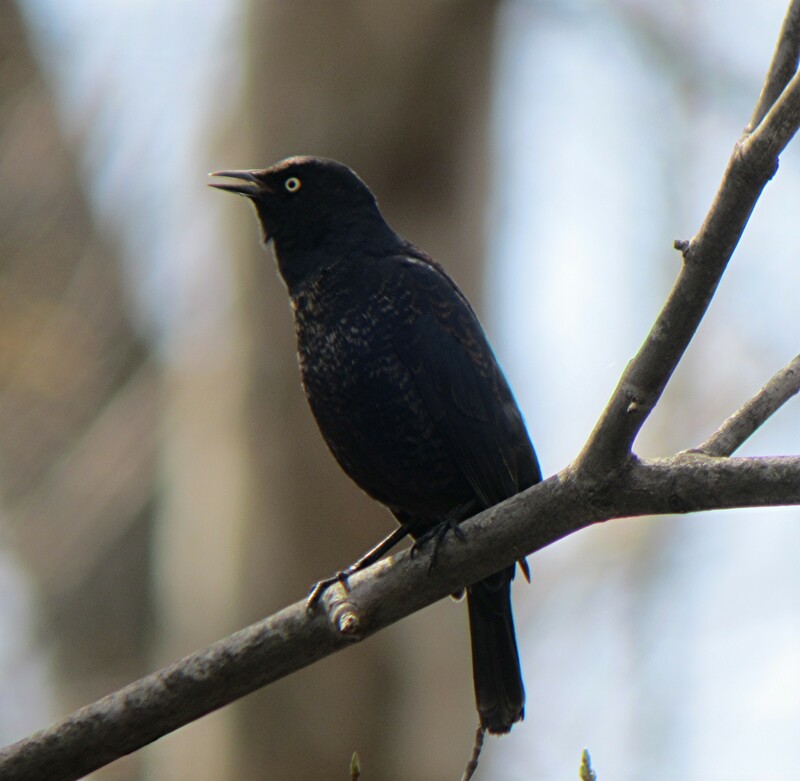 It was like it was only yesterday when you’d walk the mowed paths during a Spring evening as Henslow’s Sparrows were calling, and Red-winged Black Birds would scold you for being too close to their nesting area. And Bobolinks abounded. I remember the first time I went birding at VOA was for Bobolinks. A lifer for me at the time and one I wanted to tick off the old list. Not sure where the entrance was I drove around the perimeter of the park when I noticed a dead Bobolink in the road. Not the way I wanted to start my first visit, however when I finally made it within the confines of the grasslands section, BobolinKs were everywhere. It was truly a great sight. This is the waist deep vegetation I’m talking about. A small oasis of grass within the confines of urban sprawl. Now the park is expanding into some of their undeveloped sections for the purpose of building new sports fields. And with it go some of precious grasslands that support these birds. 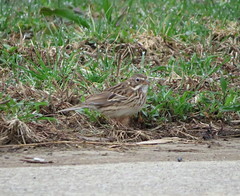 Gone are the days of the Henslow’s Sparrows which I’ve not heard for a couple of years. 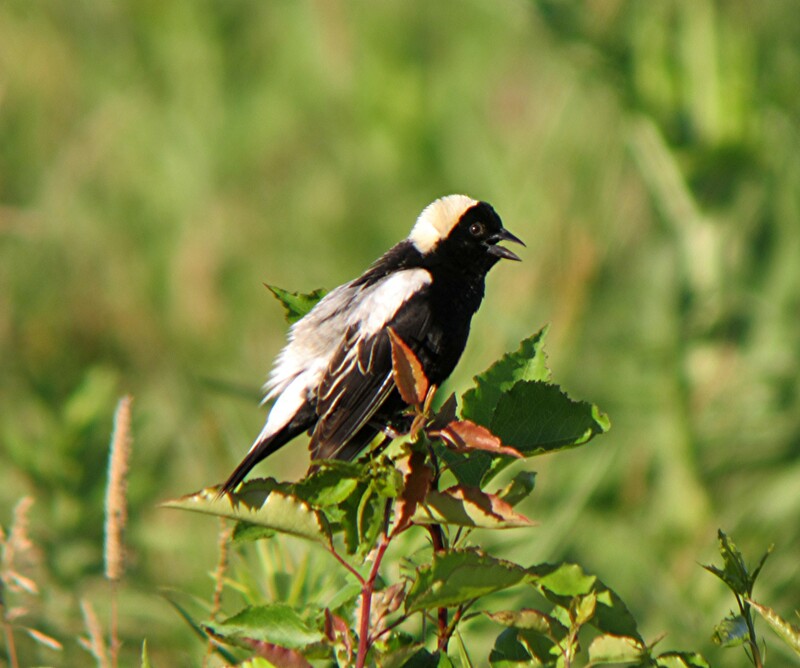 However the Bobolinks still return even though their numbers are smaller than years past. 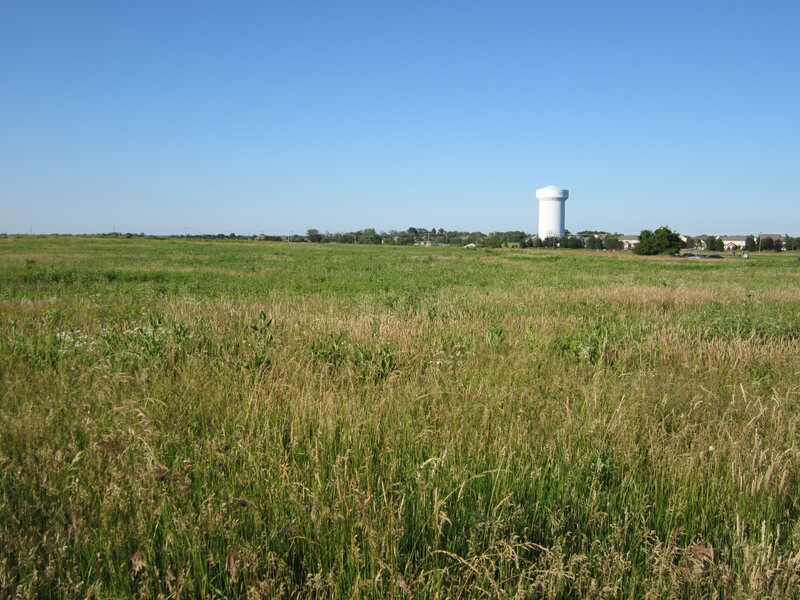 Now according to the birding grapevine the remaining grassland meadow will stay the same except for a mowed path weaves through it. 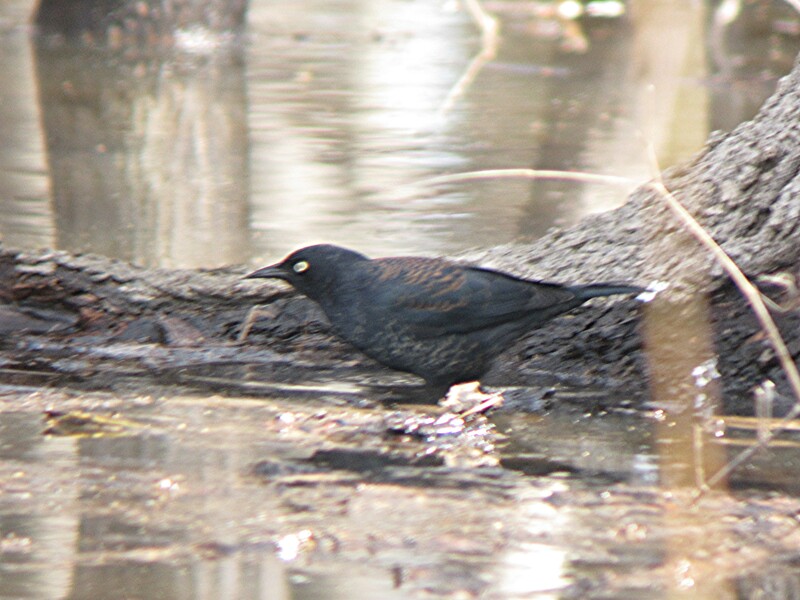 These birds so habitat specific that their rapid decline is of grave concern. 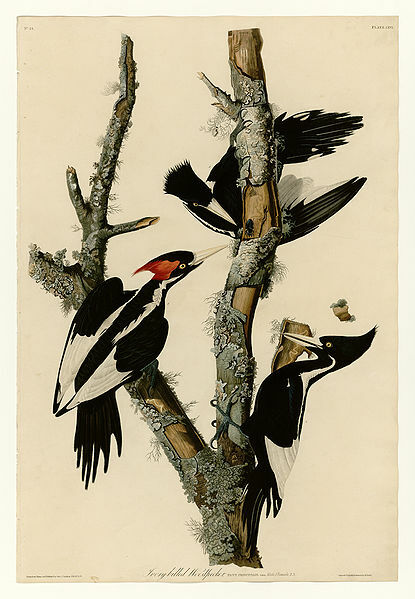 There has been a 75% drop of Bobolinks in Vermont between 1966 and 2007. What is the rate of decline in Ohio? I’m not sure of the stat but I’m am going to enjoy them as often as I can. And if there’s a chance for you to go see them. DO IT. Yesterday evening a Glossy Ibis was seen feeding at Voice of America Park in Butler County. From details left on the sightings log at Cincinnatibirds the bird was seen as you enter the park on the right after you pass the entrance booth on your way to the main lake. 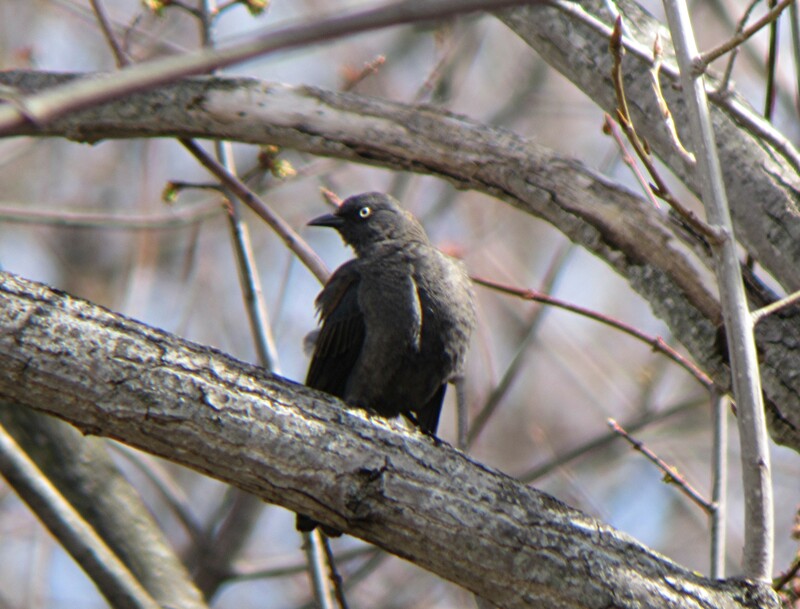 At the time of this blog post (10:30 am ) no more sighting posting concerning this bird have been received. Yet.